A $50,000 Christmas Card? – Write with us! 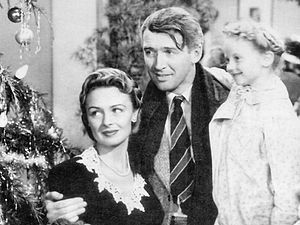 Did you know the movie It’s a Wonderful Life was made from a Christmas card? 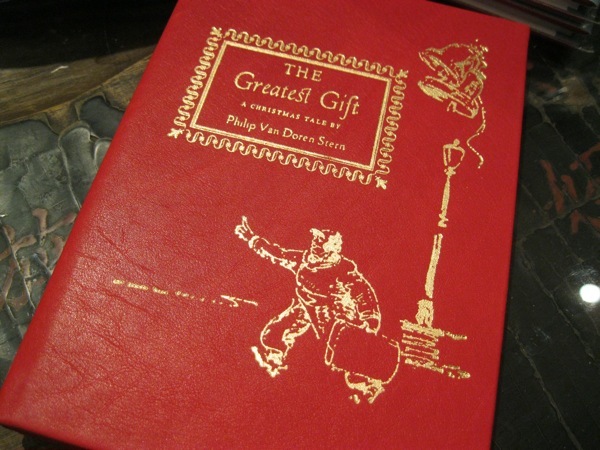 In 1943, Philip Van Doren Stern was frustrated with rejection letters from publishers for his book The Greatest Gift. So, he made 200 pamphlets of the book and sent them out as Christmas cards. One made it to the producer of RKO studios Charles Koerner who bought the pamphlet for $50,000 and the rights to make it into a movie, It’s a Wonderful Life. Tom Glazer of the Graphic Image leather company in New York, found an original copy of The Greatest Gift among his father’s possessions. In just a season as this, he has created a new edition based on the original version in three styles; the original blue, a holiday red and an edition with a lovely red leather cover. It’s a small book of only 31 pages, but packed with a message of “The Greatest Gift”. What will your Christmas card say this year? Will it be sold for $50,000, made into a major motion picture and ranked number twenty in the top 100 movies of all time? You never know who will see your message, so make it personal and let it be a reflection of you. Regardless of what you see through your lenses or in the mirror at the moment…you’re still living a wonderful life; the greatest gift; worth much more than $50,000.